- The dedicated plug-and-play Arduino library can be easily integrated in sketches. 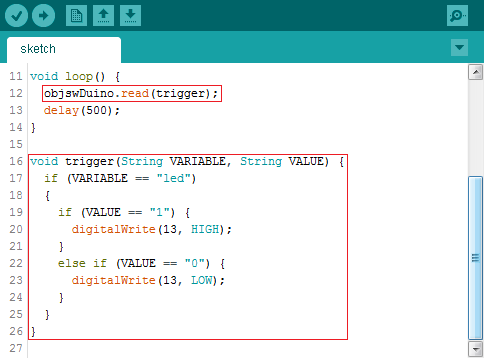 - With this Arduino library, variable's value (or data) can be sent from Arduino to client program. - This Arduibo library enables sketch to do any thing (e.g. change state of pin etc.) on receiving variable (or data) from client program. 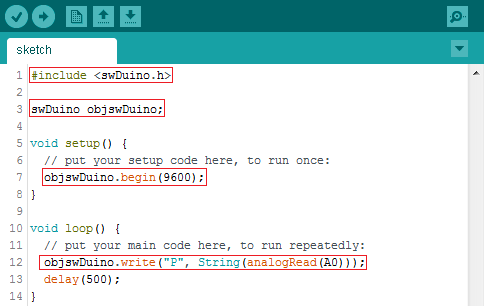 After installing library, following example sketches can also be found in Arduino IDE at Files > Examples > swDuino-Lib.